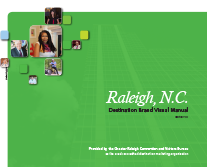 The Greater Raleigh Convention and Visitors Bureau (CVB) retained Development Counsellors International (DCI) in June 2014 to assess the destination&apos;s brand strategy. 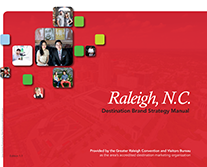 DCI prepared a well-researched Destination Brand Strategy Manual and Marketing Blueprint that provide guidance and effective strategic recommendations for promoting Raleigh, N.C., and Wake County as a destination. The Greater Raleigh CVB, as the official destination marketing organization of Raleigh and Wake County, accelerates sustainable economic growth and development by increasing visitor and convention business. In order to optimize the Bureau&apos;s mission, the destination brand strategy reassessment revisits internal and external stakeholder opinions about the Raleigh area as a business and leisure destination. In addition, the recommendations put forth during the destination brand strategy process and recommendations from the Marketing Blueprint serve to reinforce the CVB&apos;s 2014-2018 Strategic Plan. The aforementioned plan outlines three specific goals: develop and sustain a seamless destination network that consumers sense, feel and share; support destination-enhancing development; and increase investments in the CVB marketing and sales budget. Raleigh, North Carolina, is a burgeoning tourism destination. Small business, hospitality, leisure and meetings sectors are all thriving due to the organic growth in appeal of the destination. With major infrastructure enhancements (e.g., at RDU International Airport) and favorable quality-of-life rankings such as Forbes’ number one “Best Places for Business and Careers,” Raleigh is generating strong national consumer interest from top travel media. Upon review of existing destination brand statements, there were many attributes and key messages missing from the brand platform previously adopted by the Greater Raleigh CVB in 2008. Thus, there is a subsequent need to further focus, embrace and harness all of Raleigh’s authentic qualities and homegrown attributes to identify its brand. By doing so now, the CVB has developed a clear and effective destination brand strategy platform that will empower internal stakeholders to guide the destination toward greater growth and brand appeal. This will, in turn, resonate with external stakeholders to visit Raleigh on more than one occasion. With the Marketing Blueprint, the Greater Raleigh CVB is presented with strong and identifiable destination brand messaging and strategies that will serve to communicate Raleigh, N.C.’s destination strengths and personality, further allowing it to thrive and compete. This blueprint will serve as a guide to hospitality, tourism and all internal stakeholders who are looking for ways to understand and communicate the virtues of Raleigh, N.C., as a visitor destination. 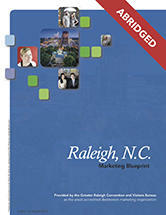 Prior to crafting the Marketing Blueprint developed for the Greater Raleigh CVB, extensive research was conducted to help reveal and understand opinions and perspectives from various internal and external stakeholders. An assessment of interview and survey results revealed opportunities, weaknesses and, most importantly, commonalities in the perception of the destination from a wide audience. Following research review, the various destination brand messages employed by the CVB in the existing brand strategy platform were analyzed. Through careful dissection, opportunities to enhance and deliver a more strategic brand statement, rooted in research and prevailing stakeholder sentiment, were identified. 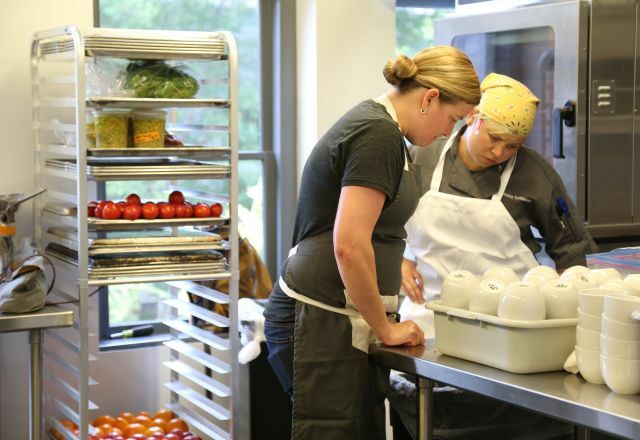 Raleigh is a thriving Southern capital city shaped by the passionate minds of its residents. Smart and savvy locals are the lifeblood of the city, the brains behind its educational institutions, renowned research facilities, historic preservation efforts and enviable rankings for a quality of life that is physically represented through lush greenways and natural parklands. Travelers intrigued by Raleigh’s long list of superlatives will discover that its entrepreneurial locals are responsible for its emerging success and for the fostering of its cultural heartbeat, including museums, arts, live music, craft culinary and beverage scene, handcrafted goods and historic experiences. Visitors to Raleigh will leave feeling enriched and energized by their experiences–whether dining/food, event/festival, music or sports experiences–thanks to the investment made into this historic capital city by a smart, passionate, inventive local population. Visitors to Raleigh will depart feeling enriched by what they have experienced in this Southern capital city, thanks to Raleigh’s smart and passionate residents who are shaping the growth of the historic city’s emerging creative businesses, innovative festivals and food establishments, passionate music and sports scenes and modern cultural experiences.